Guwahati is a maddening chaos. The streets are jam-packed with traffic, hawkers and bystanders. We walked through its streets this monsoon-laden Monday. The air is hot and muggy, and the humidity shrouds the body with a permanent layer of perspiration, making my flimsy cotton t-shirt stick on like a second skin. 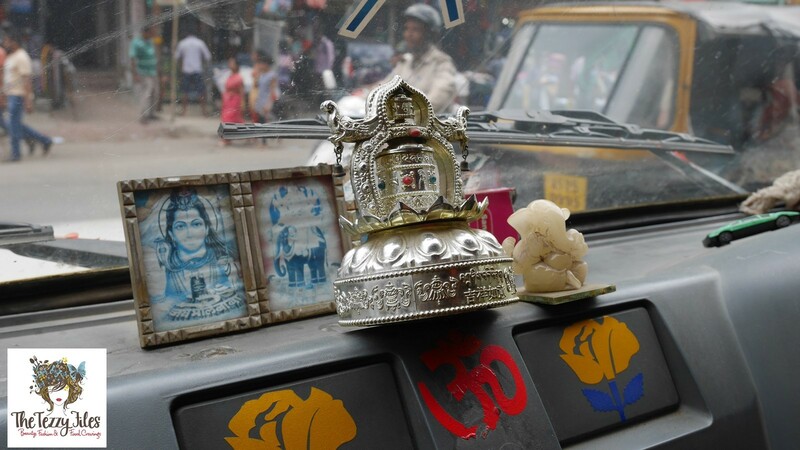 Driving around the streets of Guwahati requires divine intervention! 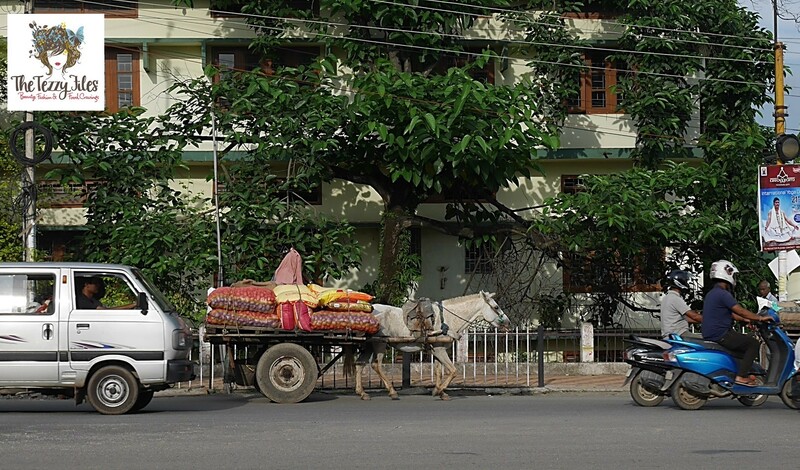 Trucks, cars, bikes… and there I spotted a horse-driven cart! And then it starts to rain. It starts off with a few minuscule spits, and before long the city gets showered in a downpour of hazy monsoon rain. 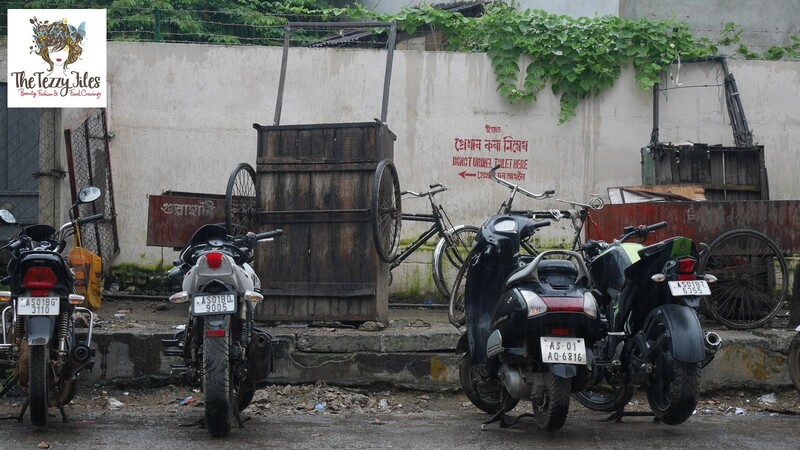 A municipality message marked on the wall requests visitors not to piss in the premises. The monsoons wash out the sweat and grime and speed up the emancipated crowds. Some scramble for shelter while others brave it in the rain, drenched yet thankfully refreshed. 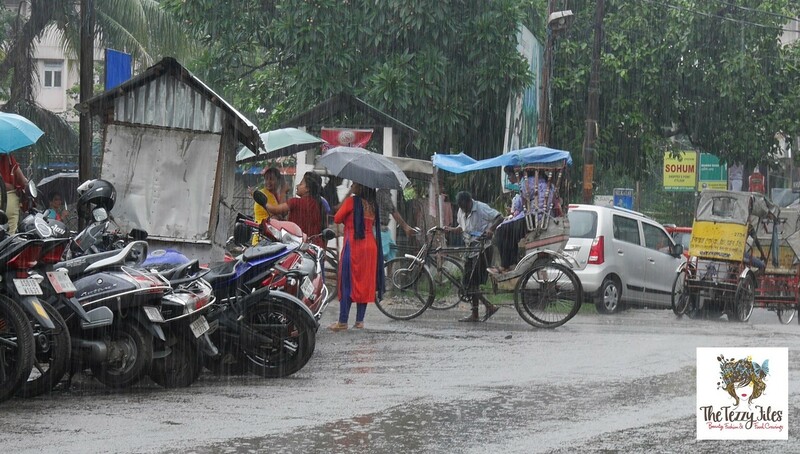 Zooming in, you see a rickshaw in the rain. The rickshaw-walla struggles to maneuver his vehicle on the slippery roads. The monsoons add magic to the city. Everything looks revived and given a fresh new breath of air. 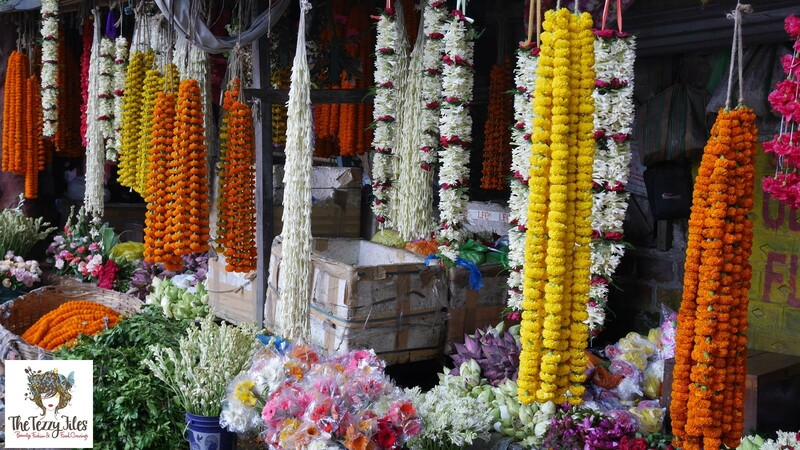 A colourful click of a local flower stall. The showers leave behind slushy potholes and muddy puddles. You would think gumboots would be popular in this weather, but I fail to find anyone wearing them. We treated ourselves to steaming hot cups of tea in the rain. The locals seem oblivious to the chaos. The momentary change of pace is quickly forgotten, and life returns to normal. 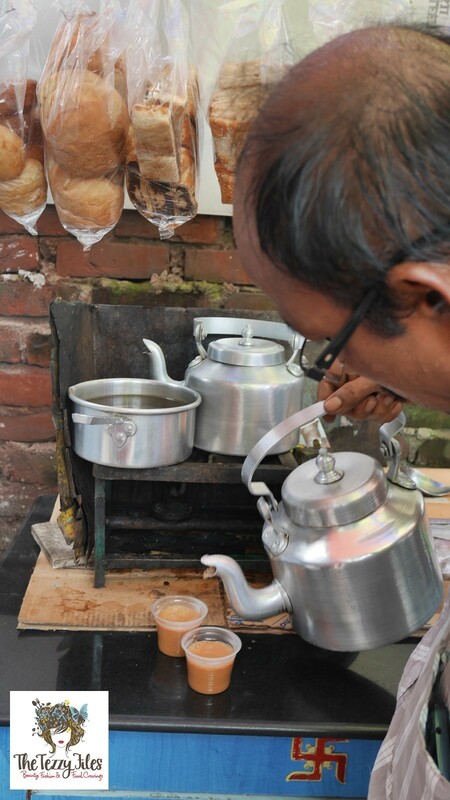 The streets of Guwahati are lined with makeshift stalls selling everything from steaming hot cups of tea to plastic kitchen essentials and ethnic clothing. 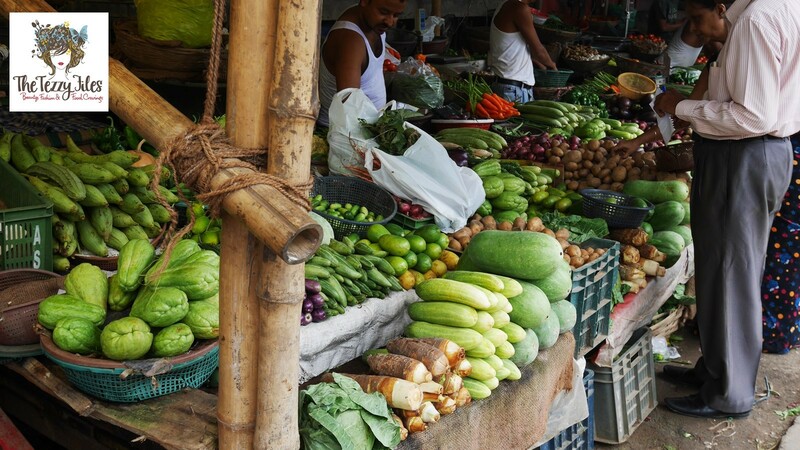 At the vegetable market in Guwahati, Assam. 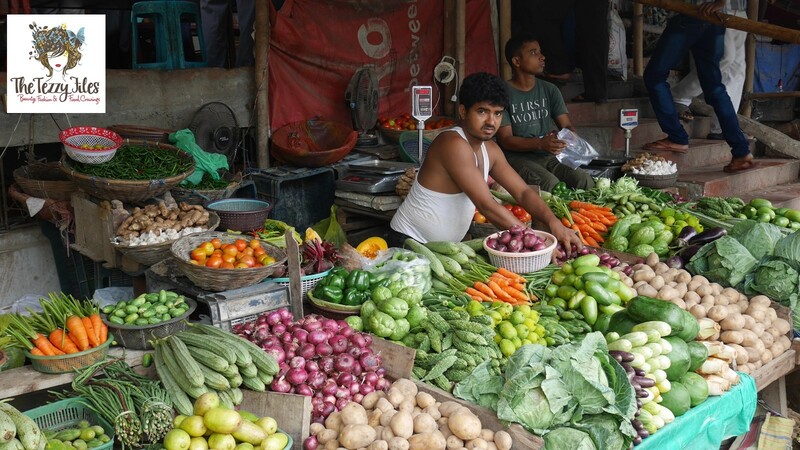 A vegetable stall in Guwahati, Assam. 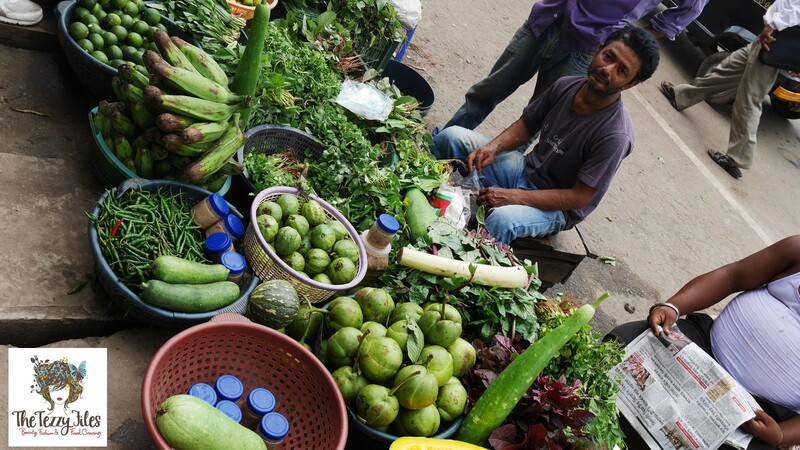 A local farmer displays fresh produce. The ‘hottest’ thing available in the vegetable stalls is Bhoot Jolokia. 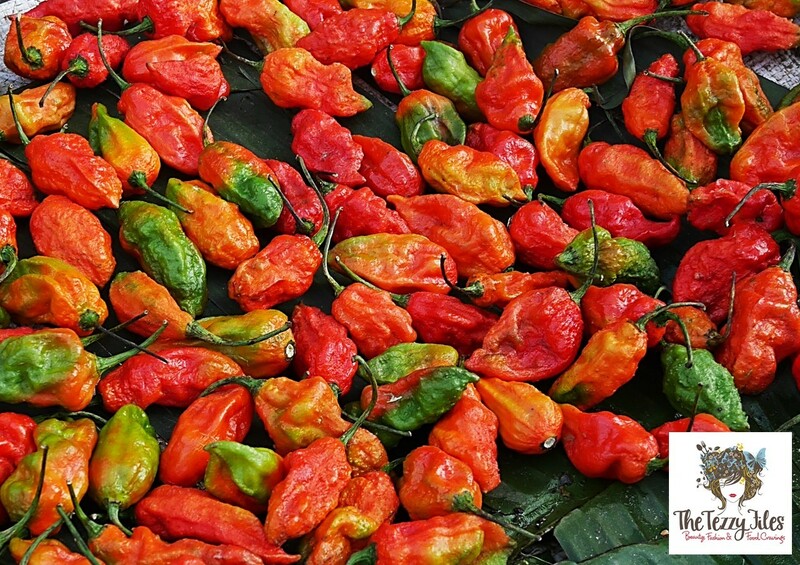 Translating to ‘Ghost Chili’, these have been given the prestigious title of ‘World’s Hottest Chilies’ by the Guinness Book of World Records. Ironically, traditional Assamese cuisine is not as spicy-hot as many other Indian cuisines. Lesser known to the rest of the world are Assamese lemons. 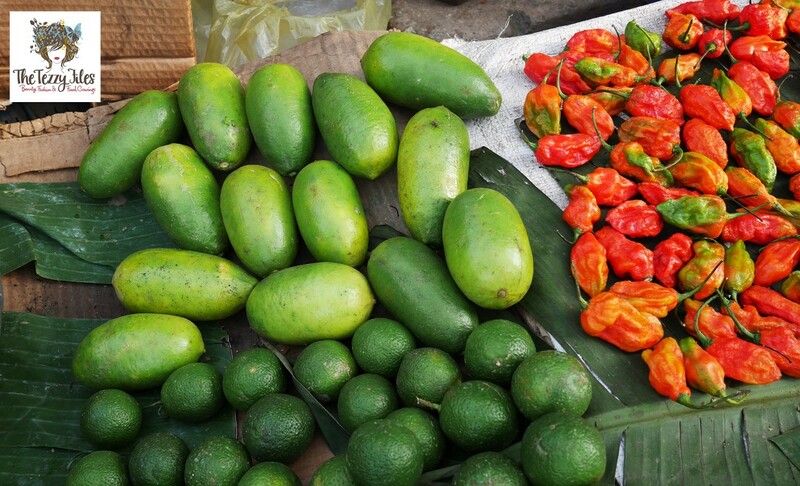 The bigger, longer ones are called ‘Kaji Nemu’ and the smaller ones are ‘Gool Nemu’. Both have characteristically sharp, refreshing scents that are rarely found in commercial counterparts. 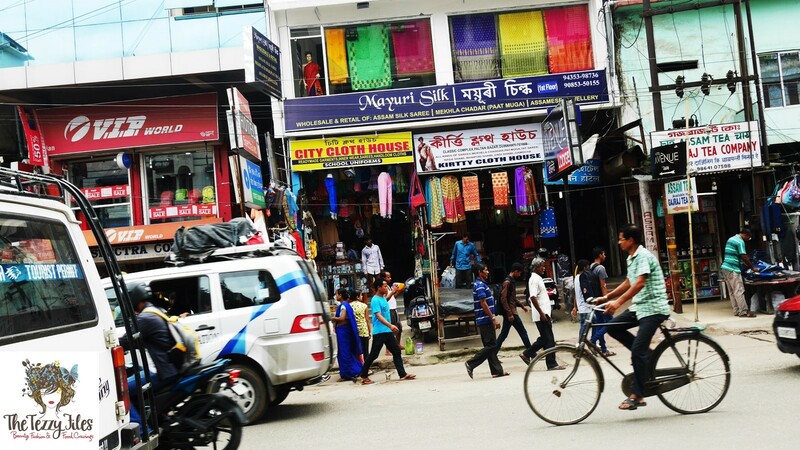 A local store selling saris and Mekhela Sador (the traditional Assamese 2-piece sari-style ensemble). 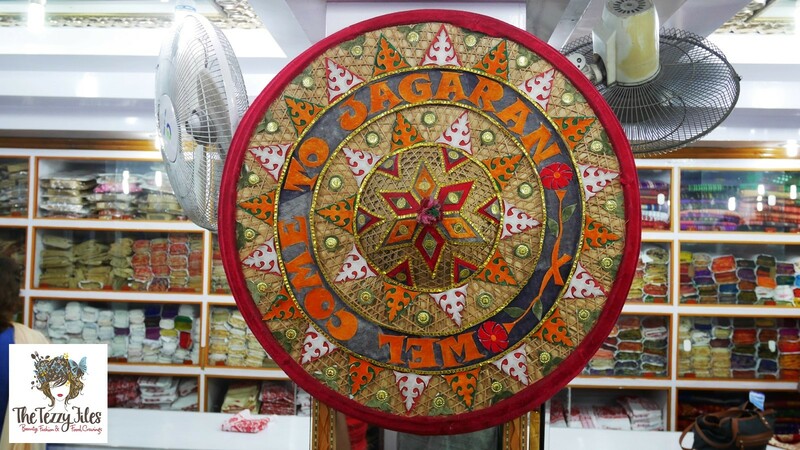 Jagaran is one of Guwahati’s most popular stores for traditional Assamese souvenirs. The traditional ‘Japi’ is an Assamese icon. 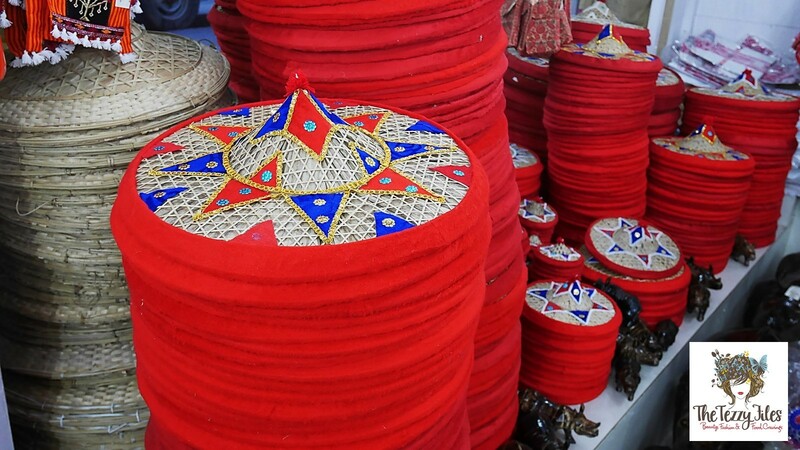 These beautifully decorated straw hats were once the humble means of sun protection for local farmers, and are now used to adorn the walls of every Assamese home. 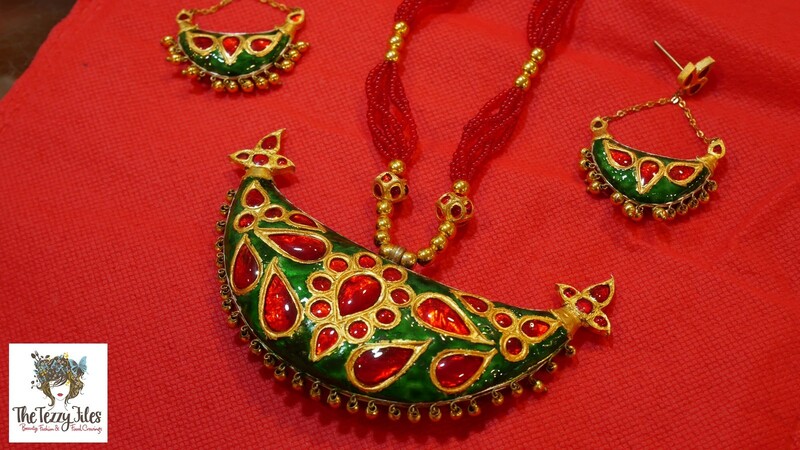 Assamese jewelry is uniquely beautiful, and deserves to get more mainstream attention. 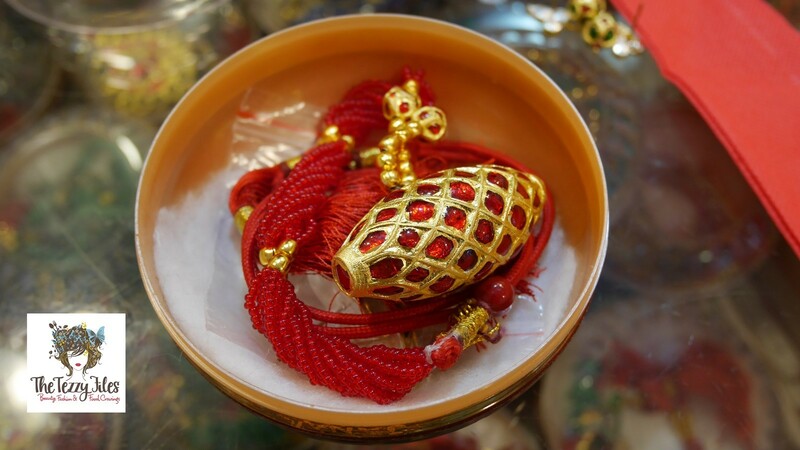 This is a photo of a traditional ‘Dhool’. 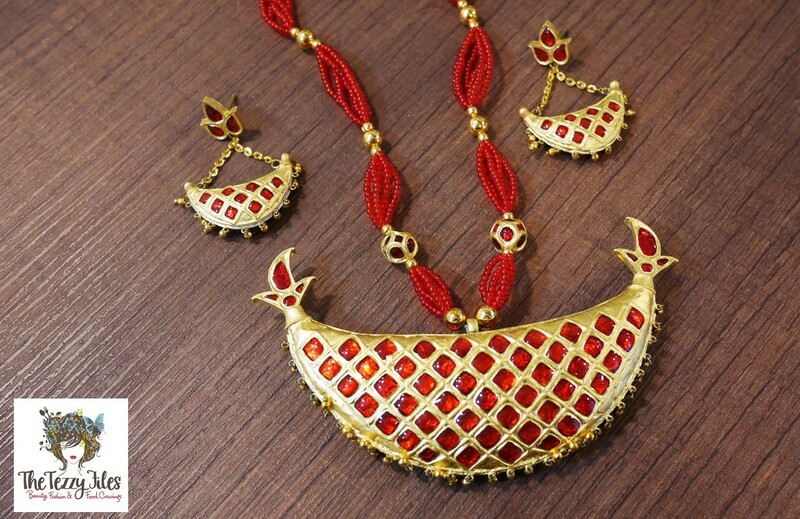 Shaped to look like an Assamese drum (or dhool), this piece is made of 22 carat gold and encrusted in rubies. An Assamese ‘Junbiri’ set. This design gets its name for its crescent-like resemblance to the moon. Turn the piece around, and you have a brand new design on the back! My favorite is this Assamese set featuring a pair of loved-up peacocks. My mother presented me an identical piece when I got married. 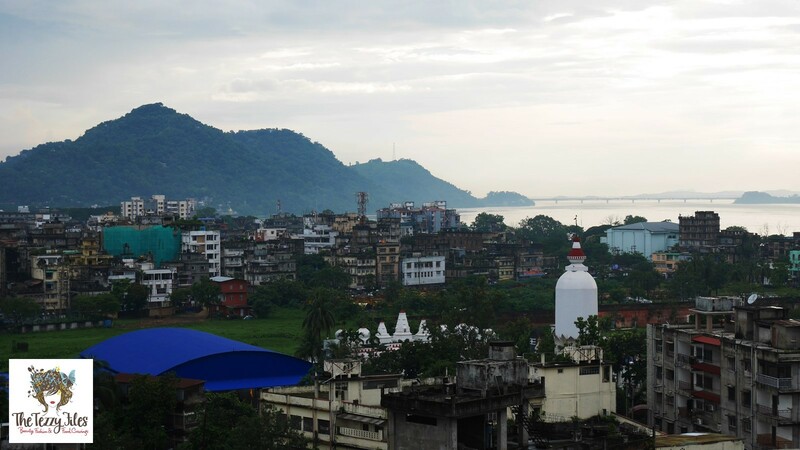 Guwahati, the capital city of Assam, is home to over eight-hundred thousand residents. Although Assamese is the main spoken language here, you can get away with colloquial Hindi and broken English. The city is a patch work of buildings, old and new. I can easily get lost in this maze of a place. 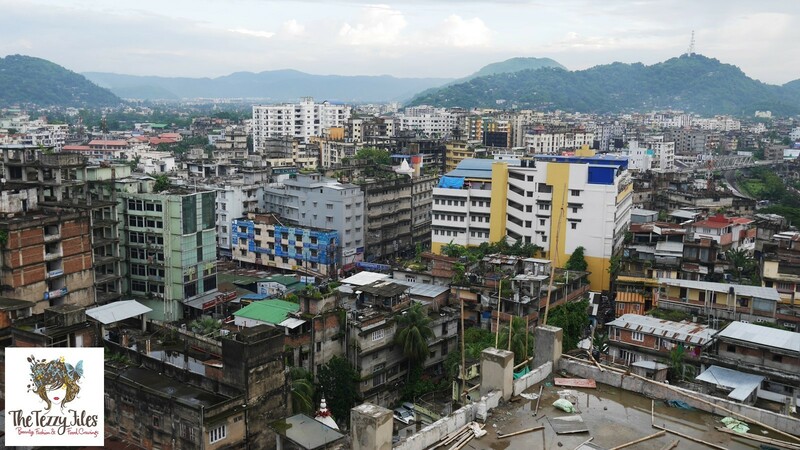 A view of Guwahati from above. The chaos of the city manages to look so serene from this angle, and I also got breathtaking views of the mighty Brahmaputra River, encircling its parameters. 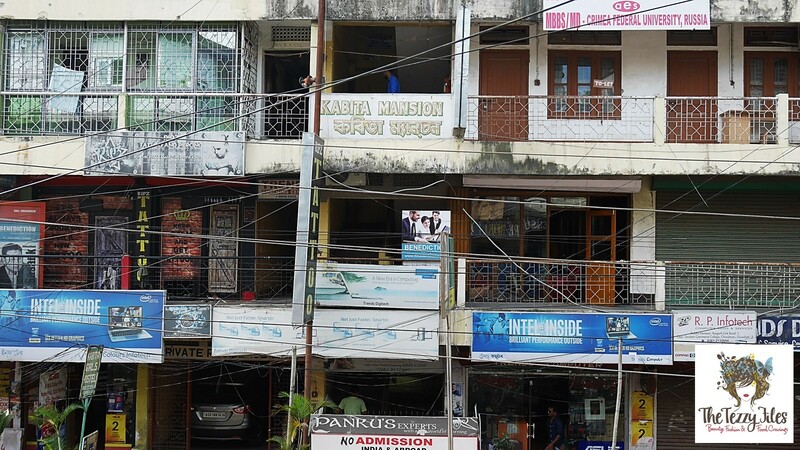 This post is an amalgamation of images taken on a day trip to Guwahati. Surely there is much more to explore and click here, and I hope to be back with more sometime soon. 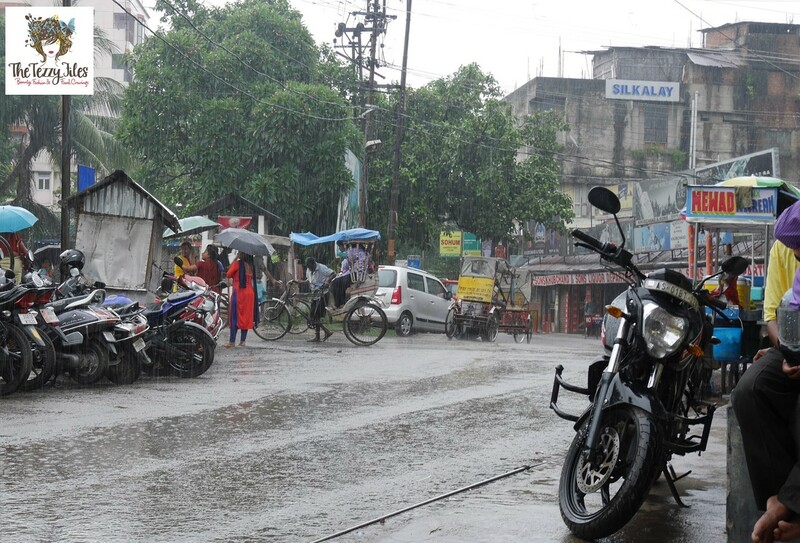 Till then, I hope you enjoyed this virtual tour of Guwahati in the monsoon. 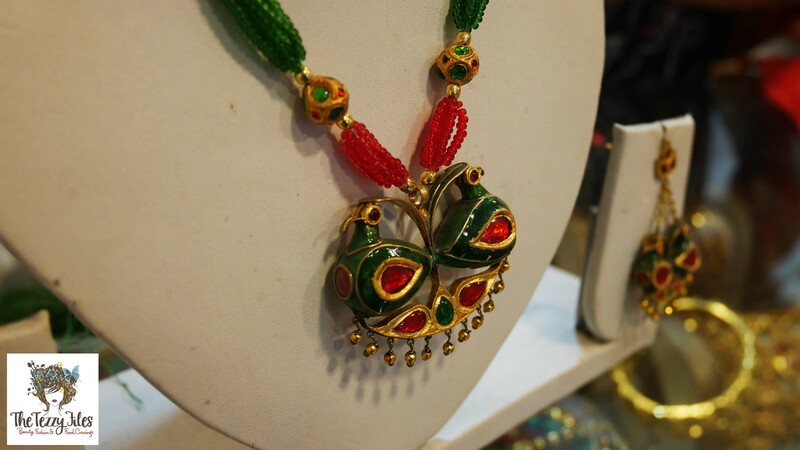 Posted in Holidays, Places and tagged assam, assamese, Assamese Jewellery, Dubai Travel Blog, Ethnic Fashion, Guwahati, holidays, indian fashion, Monsoon Photography, Monsoons, Photography, Places, Street Photography, summer, Summer Holidays, travel, travel blog. Bookmark the permalink.